Protection from debris and materials that are larger than 0.3 microns or greater can be achieved with N100 and P100 respirators are ideal for dusty and oily applications. 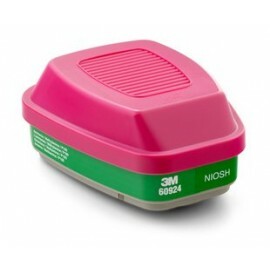 These respirators filter 99.7% of airborne particles. The "N" designation means that these respirators are not resistant to oil. The "P" indicates P95 respirators are oil proof. 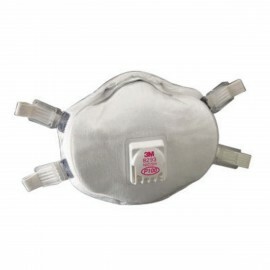 Select from 3M, Moldex and Wilson N100 and P100 particulate respirators. Protecting your workers from inhaling oil- and non-oil-based particulates is your top priority, and at EnviroSafetyProducts, we understand that. It's not just a matter of OSHA compliance; it's a matter of keeping your workplace safe so your workers stay healthy. Our inventory is packed with N100 and P100 respirators from the most trusted manufacturers, like 3M and Moldex at extremely affordable prices. You can get the protection your employees need and stay in compliance with OSHA standards without going over budget. If you're not sure what N100 or P100 respirator will work best in your workplace, call our expert customer service representatives at 800-637-6606 and they'll point you in the right direction. 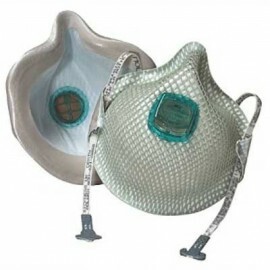 Not all protective respirator masks are the same. N100 masks are designed to protect the wearer from inhaling non-oil-based particulates, and according to OSHA standards, they must prevent 99.97 percent of those particulates from getting in when properly worn. They're ideal for grinding, sanding, mineral processing and other activities that do not involve oil-based hazards. People working on construction sites, in dry food processing areas and in agricultural processing stations can benefit from using N100 respirators. They block dangerous hazards like lead, cadmium, arsenic and methylenedianiline, commonly referred to as MDA. 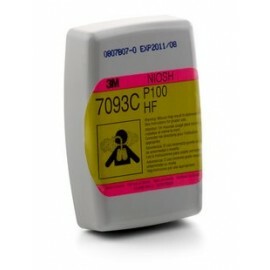 All the N100 masks in EnviroSafetyProducts' catalog are NIOSH-approved. P100 respirators are effective at blocking 99.97 percent of oil-based particulates when properly worn. They can protect wearers from exposure to dust, fumes and hazardous mists. P100 masks are ideal for construction environments, food processing plants, agricultural applications and pharmaceutical manufacturing. They also provide complete protection against non-oil-based particulates, like lead, arsenic and cadmium. P100 respirators are often used during welding, as well. 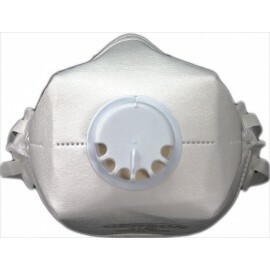 Each P100 mask in our inventory meets OSHA and NIOSH standards. The Centers for Disease Control tested N100 and P100 masks for their efficacy against avian flu, swine flu and other contagious diseases and found them to provide superior protection. Since N100 respirators and P100 respirators are capable of blocking the majority of airborne hazards, people often use them to prevent the spread of dangerous diseases. Moldex and 3M respirators, like all other respirators, are ineffective if they aren't used properly. It's important to make sure each employee in your workplace is properly trained to use them for maximum effectiveness. OSHA requires employers to educate their workers on the proper use of all required PPE, so setting up a comprehensive training plan goes hand-in-hand with purchasing top-quality P100 and N100 respirators. Employees need to know how to seal N100 and P100 masks to their faces, how to use masks in conjunction with other PPE like safety goggles and hearing protection, and how to adjust the masks for maximum comfort. Which N100 Mask or P100 Mask is Right for Your Workplace? Remember that N100 masks are not rated for protection against oil-based particulates, but P100 respirators are. If you're having a hard time choosing the right respirator for your workplace, just call 800-637-6606. Our customer service representatives are highly trained when it comes to respirators, and they can help you make the most cost-effective, responsible decision.